In the video, a naked young man slowly swims in the ocean, wading his way bit by bit through the waves to reach the other side of an invisible border. He swims further, getting closer to the invisible line that cuts through the sea from the border fence between Egypt and Gaza visible onshore. From the beach, a man shouts, pleading with an invisible Egyptian soldier not to shoot the swimmer. The naked swimmer emerges, bobs up and down, and crosses the invisible line. Shots ring out. His dead body floats to the surface. Hassan had grown increasingly despondent, as all of Gaza's borders are shut and there is no way out. His friends say he was depressed and increasingly suffered from the mental anguish of living in a giant prison, as Gaza's 1.8 million people do. The Gaza Strip is under Israeli siege, and it has been so for the last nine years. Nothing can go in or out -- neither people nor goods -- without Israeli permission, and the sea to the west, the land borders to to the north and east, and the air are all patrolled by the Israeli military with shoot-to-kill orders. On Gaza's southern side sits Egypt, which enforces the blockade at Israel's behest. The Rafah crossing, Gaza's only land border into Egypt, is closed almost every single day of the year. The last time the crossing was open in early December, Egypt opened it for only 2 days. It had been closed for months before then, and tens of thousands of Gazans -- ordinary people seeking medical treatment, trying to visit family, study abroad, or emigrate -- had to brave the crush to try and make it through. Many who needed to leave were unable to acquire permission. They are condemned to sitting at the crossing and just waiting for the next chance. Since 2014, Egyptian authorities have blamed the democratically-elected government of Hamas for the closure, saying the Palestinian political party has connections to ISIS -- even though Hamas is a sworn enemy of Wahhabi groups like ISIS, and ISIS has in turn threatened to overthrow Hamas. This is an obviously flimsy excuse, a convenient way to avoid dealing with the real sources of Israel's policies toward the Palestinians. The blockade of Gaza has been in place since 2006, long before ISIS existed, and Israel has long justified the siege by saying it must punish Hamas for refusing to recognize Israel's right to exist and renounce violent struggle. But Hamas rightfully points out that Israel has never recognized the Palestinians' right to exist, nor has it renounced violence. Hamas is an anti-colonial movement dedicated to the liberation of what it sees, understandably, as foreign occupation. Israel was built on lands seized from Palestinians in 1948 (what is now Israel) and occupied by military force in 1967 (the West Bank and Gaza), and is the state that has driven hundreds of thousands of Palestinians from their homes since 1948 and made nearly an entire nation refugees. Hamas, in contrast, is a militia outfitted primarily with homemade weapons that is part of a political party that emerged in 1988 to resist military occupation. In light of these facts, it is hard to take seriously Israel's claims of "existential threat." Hamas is a symptom. The Israeli occupation is the cause. Nine years after it was first imposed, Israel's siege has achieved no clear success as a policy. In light of Israel's inability to recognize the blockade's failure, the siege merely continues to punish the ordinary people of Gaza. Hamas rule, meanwhile, grows increasingly authoritarian as the siege leaves Palestinians more and more cut off from the rest of the world and economic control falls in the hands of a corrupt few who control the little smuggling economy that persists. The Israeli siege has indeed helped Hamas concentrate its power. Since 2006, the Strip's economy has collapsed. Once a productive economy that exported locally-made goods and imported products from abroad, the siege has decimated every sector of the economy and today more than 80% of Gazans are dependent on humanitarian aid. With goods as basic as concrete, Palestinians have no way to build their economy or create sources of income. Unemployment rates are among the highest in the world, at 43%, and 60% for youths. This is not because Palestinians don't want to work; it is because Israel has singlehandedly strangled their economy. There is no future, and no way out. Aid is not the answer; an end to the blockade is. For the people of Gaza, the result is a feeling of being completely trapped. This feeling is compounded by Israel's recurring assaults on the Strip; the last attack lasted nearly two months and left more than 2,100 people dead, 70% civilians, and 120,000 homeless. Since then, Israel has continued its blockade, preventing rebuilding supplies from re-entering so that those affected could rebuild their homes. On a daily basis, Israeli drones circle overhead, providing a constant background noise. On some nights, Israeli planes drop bombs here and there, not often causing casualties but reinforcing the sense of terror and being trapped. It is not hard, as a result, to see how someone like Ishaq Khalil Hassan develops mental stress and decides to try to swim to freedom. 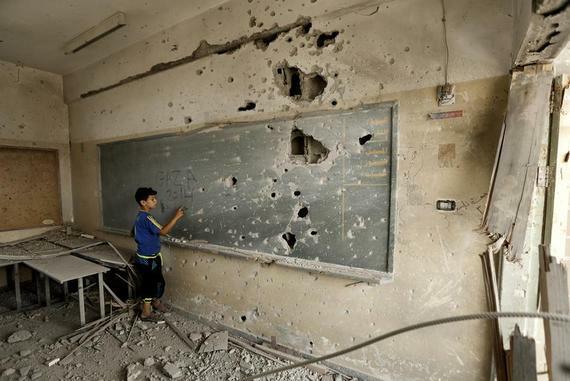 The United Nations estimated earlier this year that one-third of children in Gaza, or nearly 400,000, were shell-shocked and needed psychological counseling as a result of the trauma they have experienced. The vast majority of Palestinian children in Gaza have some form of Post-Traumatic Stress Syndrome, while large numbers of adults do, too. Hassan has likely lived through three Israeli wars, and watched as the noose of blockade slowly tightened around his neck year by year. He likely watched on TV over the last few months as refugees tried their hardest to reach safety in Europe, as millions fled their homes in Syria, Iraq, Eritrea, Afghanistan, and elsewhere to seek a better life far away from the chaos, devastation, and hopelessness that have overwhelmed these places. Maybe Hassan just wanted to be one of these people. But even fleeing to safety is a luxury denied to Palestinians in Gaza. 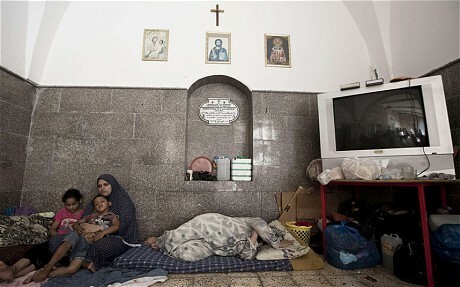 They are forbidden under pain of death by Israel and its Egyptian enforces from fleeing to safety. The irony is that more than two-thirds of Gaza's population are already refugees, forced out of their homes in what is now Israel in 1948. After being displaced once, Israel now confines them to the Gaza Strip and periodically bombards them, all the while denying them the ability to go anywhere. In 2014, as during the Israeli assaults in 2012 and 2008-9, when Israeli bombs fell on the 25-mile mile long Gaza Strip, Palestinians could not go anywhere. These are the only modern conflicts in which those under attack cannot not flee to safety; they are literally prevented from becoming refugees. Last time around, the UN refugee spokesman in Gaza even broke down in tears on live television, unable to describe the horrors he was witnessing. At one point during the war, Israel had declared 43% of Gaza a "military buffer zone" and told more than 400,000 people to evacuate their homes or else face the wrath of bombing. But these people had nowhere to go; many fled to United Nations shelters, but Israel bombed these repeatedly and killed dozens more. The borders remained shut the entire time, meaning there was no way out. Since 1979, when the United States pushed Egypt to make peace with Israel and in exchange began giving what today amounts to $1.3 billion yearly in military aid to the country, Egypt has loyally carried out Israel's bidding. After the Egyptian Revolution in 2011 and the subsequent election of former President Mohamed Morsi, the restrictions were eased. Although Gaza remained under siege, the Egyptian army allowed greater freedom of movement, and some Palestinians let themselves believe that they might once again be able to have some semblance of normalcy and the ability to import and export and thus rebuild their battered economy. But after the 2013 coup, when military commander Abdel Fattah el-Sisi took over, the restrictions returned with a vengeance. 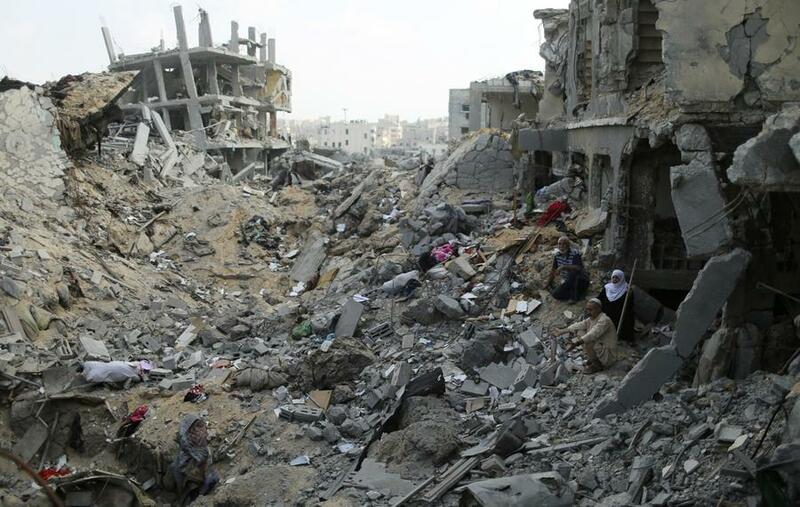 Sisi has followed a deeply pro-Israel line when it comes to Gaza. It is time for the blockade to end. The killing of Ishaq Khalil Hassan, a young man driven mad by circumstances so wretched that they defy the imagination, must awaken our conscious to the evils of Israel's nine-year-old siege on Gaza and the role of Egypt as an enforcer. Both of these states receive billions in US military aid every year, money spent on confining and killing Palestinians with impunity. Enough is enough. It is time to end military aid to Israel until they begin respecting Palestinian human rights, and to re-assess the US government's relationship with regimes across the region that have done Israel's bidding for far too long. The death of a young mentally ill man off the coast of Gaza must not go unnoticed.